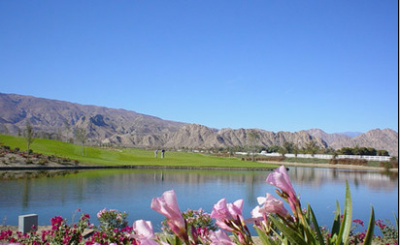 Trilogy By Shea Homes is one of the best retirement communities in La Quinta California. With so many to choose from, it can be difficult deciding which to play next. However, Trilogy Golf Club has built up a reputable image and is certainly a place you want to put on your list to visit next. You know when the pros are trying out a course it is a golf course you want to take a look into. Some of the world’s best golfers have tested out the Trilogy Golf Club including golf greats Tiger Woods, Phil Mickelson, Fred Couples and Annika Sorenstam. Who wouldn’t want to say they got the opportunity to play on the same course as the pros? This golf course is set in an amazing location at the base of the magnificent Santa Rosa Mountains in Palm Desert, California. The 18-hole championship golf course is a Gary Panks-design that no one wants to miss out on. It offers enjoyment, challenge and reward for players of all skill-levels. It is guaranteed to be an afternoon you will not forget. There are incredible water features and sand perils accommodating the gorgeous fairways that fill this 7,200 yard course. Not only will you enjoy a beautiful day on the links, but you will also be in the midst of the breathtaking boundary and scenery of Coachella Valley. While Trilogy Golf Club is one you simply cannot pass up on, the Trilogy homes have just as much to offer in this community. Trilogy is the perfect place to live in the Palm Springs area located at the base of Coral Mountain. You can enjoy beautiful and warm sunny days year-round giving you the opportunity to get out and enjoy the environment. Trilogy By Shea Homes is an incredibly active community with a plethora of activities to enjoy. You can embark on an amazing hiking extravaganza, enjoy the numerous shops there is to mosey over to, and take pleasure in the many arts and cultural venues available for you liking. No more sitting around and watching TV. The community of Trilogy By Shea Homes is all about getting out and enjoying a vivacious lifestyle. You will have access to a plethora of activities and even more amenities that can be found nowhere else. From the gorgeous world-class golf course to the amazing home, Trilogy By Shea Homes is a vibrant community you want to include yourself a part of. And even if you do not intend on living there, the golf course is one you do not want to let pass by. If it is good enough for the likings of Tiger Woods and Phil Mickelson, you know it is a course worth testing out yourself. If you would like to see property at Trilogy By Shea Homes, please call us at the numbers below. Were committed to helping you find the home of your dreams.